I thought I would share the menu I served today. 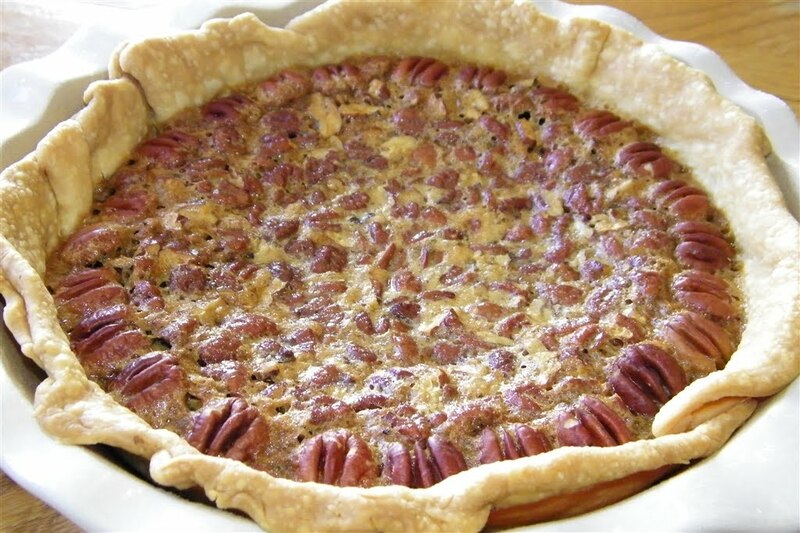 Browned Butter Pecan Pie - hmmm...new recipe for me. Smelled delish. Tasted good. But it didn't set up well at all. Not sure what the deal was. Spicy Brown Sugar Carrots - I'll be honest. I didn't like this one. I don't really like my carrots sweetened and spiced in this way. Just my preference! 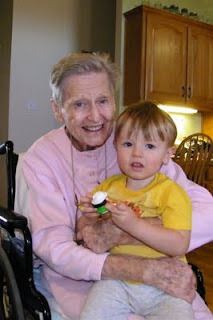 In other news, the Sprout decided that my grandmother is not so bad after all!! Yum! Cinnamon- I will have try that, next time. 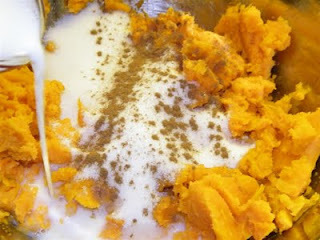 To say that the sweet potatoes was a hit would be a understatment! I just ate some more- I better stop or my pants won't button! Thanks for "holding my hand" during my first time cooking Thanksgiving.